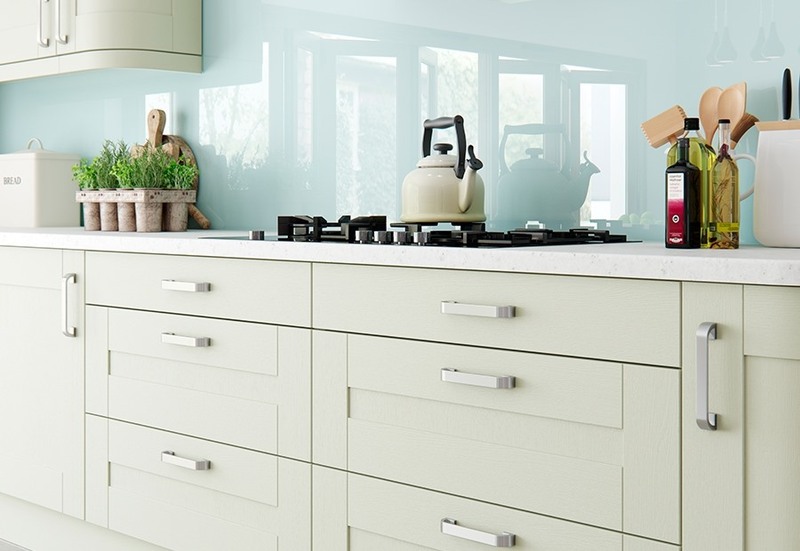 The Windsor shaker mussel details perfectly the woodgrain effect of this contemporary styled shaker kitchen. 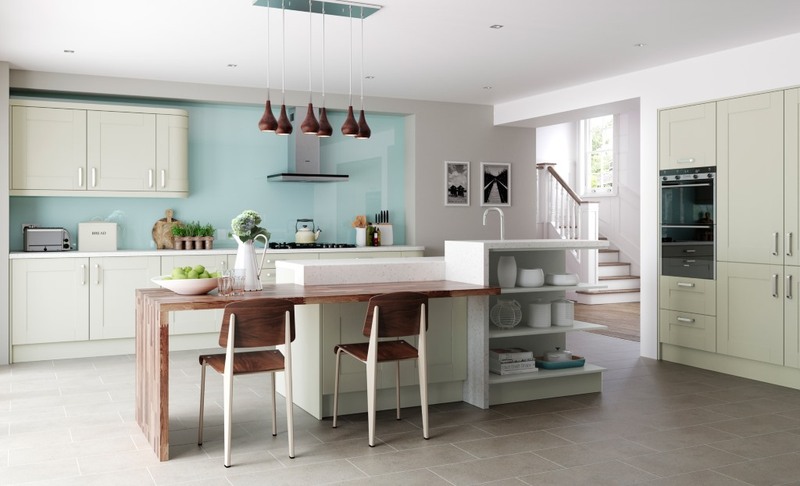 The woodgrain adds both the look and feel of authenticity. 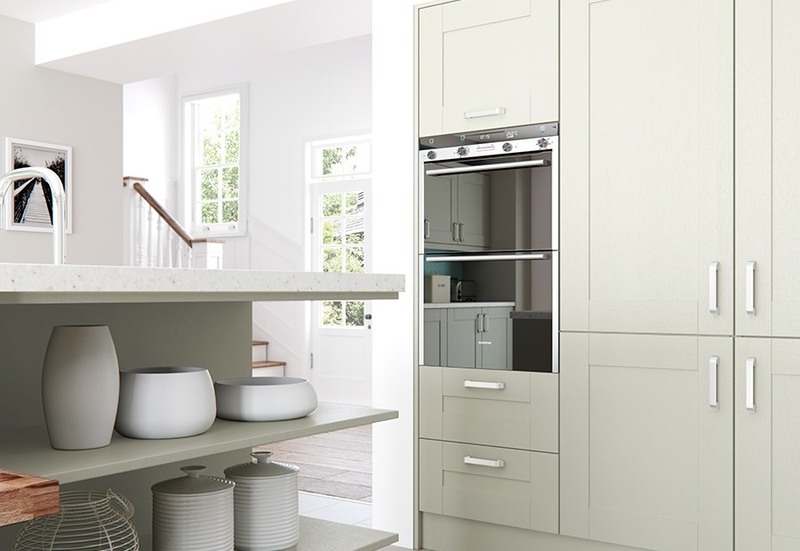 The Windsor is perfect to create a kitchen style with contrasting colours as it is also available in a number of painted colours or in ivory.